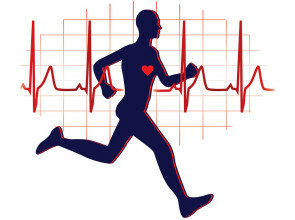 Trying to decide what type of cardiovascular exercise is right for you? As long as you have no pre-existing or limiting factors, any cardiovascular exercise can benefit your body. Aerobic exercise has an enormous and positive impact on the cardiovascular system. During any aerobic activity, the body is responds to exercise with increased heart rate, increased blood pumped from the heart per beat (stroke volume), and increased total blood flow (cardiac output). The benefits of aerobic exercise are not limited to the actual duration of the activity. The effects are long-lasting, provided the exercise is performed regularly, of at least moderate intensity, and for a continuous duration of at least 20 minutes. In order to gain the most benefit from your fitness routine, you have to make sure the effort matches your goals. There are several methods of monitoring intensity during your workout. You can check your heart rate by either measuring your pulse or wearing a heart rate monitor. The range is usually between 65% and 85% of your maximum heart rate. To perform a basic calculation of your maximum heart rate, first subtract your age from 220. 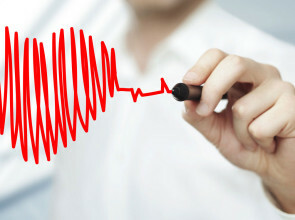 Multiply the maximum heart rate by .65 (65%) and .85 (85%), respectively. Once you have this range you’ll be able to gauge your intensity level to whether to decrease or increase it. RPE or Rate of Perceive Exertion, is a scale from 1-10, that allows you to subjectively judge how hard you are working. In general, for most workouts you want to be at around Level 5-6. If you’re interval training, you want your recovery to be around a 4-5 and your intensity blasts to be at around 7-8. Working at a level of 10 is not recommended for most workouts. Level 7: I can still talk, but I don’t really want to. Level 9: I am just about at my maximum level. I cannot maintain this pace. Level 10: I am at my maximum level – I cannot go any harder. Keep in mind, when using this rating scale, your perception of effort can change from day to day. Take an honest inventory of how you truly feel and adjust your workout accordingly. Barry A. Franklin, Ph.D., FACSM (chair); Gary J. Balady, M.D., FACC, Kathy Berra, M.S.N., ANP; Neil F. Gordon, M.D., FACSM, and Michael L. Pollock, Ph.D., FACSM. “Exercise for Persons With Cardiovascular Disease.” American College of Sports Medicine. Web. 2009. Available at http://www.acsm.org/docs/current-comments/exercise-for-persons-with-cardiovascular-disease.pdf. Accessed November 16, 2014. Jonathan Myers, PhD. “Exercise and Cardiovascular Health.” American Heart Association. Web. 2003. Available at http://circ.ahajournals.org/content/107/1/e2.full. Accessed November 16, 2014. Paige Waehner. “How to Monitor Your Exercise Intensity.” About Health. Web. 2014. Available at http://exercise.about.com/cs/cardioworkouts/a/ex_intensity.htm. Accessed November 16, 2014.